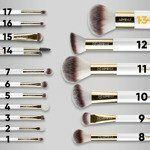 This "happy thirteen" brush, with its large and round, full head - was made for applying bronzer and loose highlighter on your body. 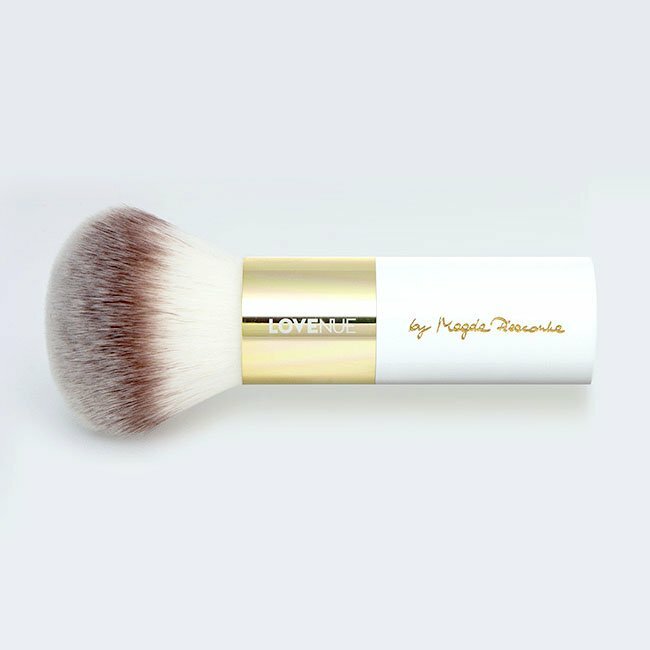 With a full head of the luxuriously soft, synthetic hair, this Lovenue Brush provides a medium to full application for your whole body, the neck, collar bones as well as your shoulders, to make them look extra special and accentuate their beauty. Our goal is to make you enjoy playing with makeup and bring out the features you like best about yourself- not only on your face. 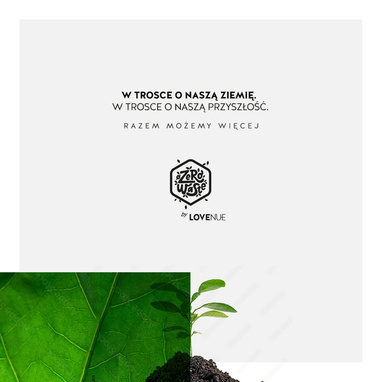 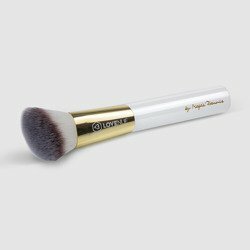 That's why we created this amazing body brush - thick, solid and very comfortable to hold - made of the best quality materials on the market. Its white, shiny helve was made from polished carbon fibre to enhance its durability and dirt proof qualities, the golden haft from an anodized aluminum alloy holds the most delicate yet strong synthetic, taklon bristles - anti allergic and odor less, for those with the most sensitive skin! 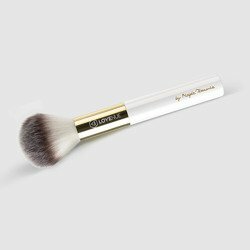 For a touch of luxury the brush was signed by our makeup artist - Magda Pieczonka - especially for you, ensuring the quality and a professional performance of every brush. 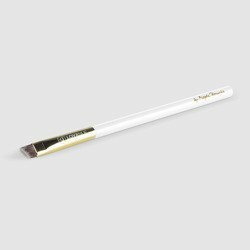 We provided a specially designed box, so that you can enjoy your brush as long as possible . 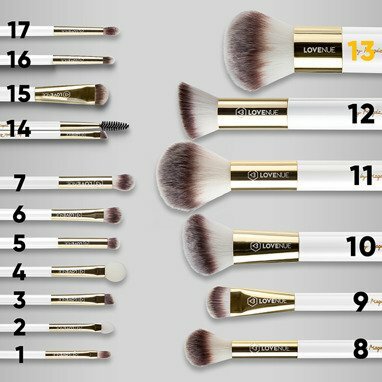 Not only can you store your brush in it - maintaining its original qualities - but also dry it after washing, in a vertical position. All this for your ultimate pleasure and makeup experience!